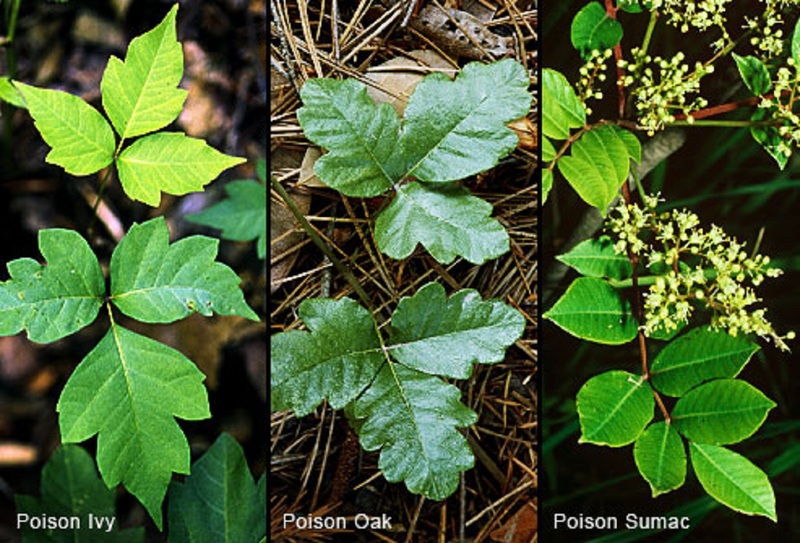 Poison Ivy, Oak and Sumac are toxic plants native to most parts of the United States. 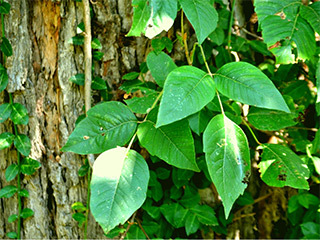 The rash is due to the oil urushiol that is in the roots, stems and leaves. Most people are allergic to this oil. After your skin comes in contact with the oil, the reaction can take up to 72 hours to develop. You do not need to touch the plant directly in order to have a reaction. Clothing, shoes, lawn equipment and pets all can transfer the oil to your skin. The skin reaction, also called Contact Dermatitis, causes redness, swelling, blisters and itching. If you inhale the smoke from the burning of these plants you can develop respiratory symptoms. Scratching the skin can lead to a secondary bacterial infection. The rash can last several weeks even with treatment. You can reduce your chances of developing a reaction if you rinse your skin with water thoroughly and wash your clothing immediately after known contact. Once the rash has started, taking an antihistamine and using hydrocortisone cream or Calamine lotion can help reduce the symptoms and speed healing. If you have a widespread rash, pus oozing from the blisters or any respiratory symptoms you should seek medical attention.